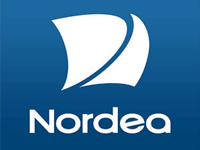 Nordea bank is a subsidiary of the Swedish-based Nordea Group. Its headquarters are in Helsinki. The bank was established as the result of mergers and acquisitions of Merita Bank in Finland Norwich, Denmark, and Sweden, Unibank, Kreditkassen, and Nordbanken between 1997 and 2007. The Nordea bank’s branches are in Helsinki surroundings and City Centre, South-Eastern Finland, Ostrobothnia, Northern Finland, Sata-Häme, Savo-Karelia, Uusimaa and Capital Area. The company has over 29,000 employees.